This is our custom-built Top quality CAT 5-E cable with Stranded Conductors. Termination is with standard RJ-45 connectors and upgradeable to Neutrik EtherCon connectors on one end or both ends. EtherCon connectors add better durability, latching, and strain relief (must be used with EtherCon jack). We picked out a special stranded conductor CAT 5 wire (over standard solid conductor wire) because it is more flexible, more durable, and less likely to break, making a better longer lasting cable. 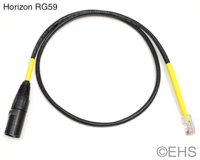 Photo 1 shows 6 foot cable with yellow color label and 1 Ethercon and 1 standard RJ-45. Photo 2 shows the two ends with yellow shrink, 1 Ethercon, and 1 standard RJ-45.